There are so many powerful words I can share from this book. I read it slow, taking my time. Much of it made me angry, especially Chapters "Sexism and the City" and "The Booty Myth" Here are some of the lines that caught my attention. - An international research institute has demonstrated that the number of South Asian children under three years old who are underweight would decrease by 13.4 million if women and men had an equal hand in decision making. Why? Because when resources are thin on the ground, women are generally found to prioritize family nutrition. - Bangladesh was hit by a cyclone in 1991 90 per cent of the 140,000 people killed were women. The clothes women wore hampered their efforts to run and swim to safety, and some were not permitted to leave their house without a male relative. Similarly in the 2004 Asian tsunami disaster three times more women than men died. Women's greater vulnerability to natural disasters is the result of societal rules and social mores that stem for gender inequality. I highly doubt these number, percentages and statics are just to those countries either. - The real issue has nothing to do with whether women wear make-up or don't, gain weight or lose it, have surgery or shun it, dress up or down, make our clothing and faces and bodies into works of art or ignore adornment altogether. The real problem is our lack of choice. - I had thought I was thinner than I looked in the photos. Rationally, as an active feminist campaigner and someone who was researching body-image issues at the time, I knew I shouldn't be thinking like this, but I still kept dwelling on my stomach. I emailed my sister about it and she quickly wrote back-saying I must be joking because I looked 'fab'. She finished with: 'But my hair's awful. And I need to go on a diet. Ugh.' My sister is a UK size 8. Every time I edited someone's picture I know that this is where the girls brain is going to go and that that's what she is going to say to me. I hate it. Why can't they just see how beautiful they are and how important it is for their kids to see them in photos! - I felt like a failure, and I can remember thinking it was very important I wasn't fat. I remember feeling that my thinness was like a badge of honor - as if it was something I had achieved. I remember when I realized this for the very first time. It was also the day I decide to ensure I was always going to look that way, through any means necessary. - There is something that all UK women in full-time paid employment should know: between the end of October and December they don't get paid. A survey by the Office of National Statistics found that women working full-time are paid on average 17 per cent less than men, which is the equivalent to men being paid all year and women working for free from the end of October. I would like to know what the number is in Canada and the States. I would say the best way to deal with this is for all ladies just to take November and December off. Also how close are minorities to these numbers as well. Feminism as a study is so important and I wish I was better at remembering details. I just want more and yet my brain can't take it all. 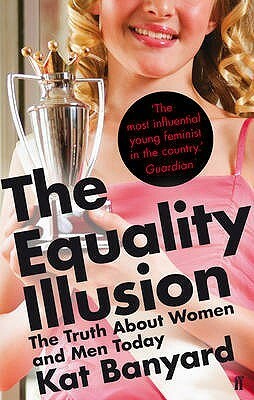 What new feminist book have you read recently?